Thanks to the first installation measure under the EAFRD, this couple of young farmers from Portugal manage to successfully produce and sell directly a broad range of products, including edible flowers, by applying organic farming methods. The company was established in 2010 by two young farmers, and supported by the EAFRD plus a premium as young farmers. The farm, which has 4.85 ha in the Montijo area, produces over 60 varieties of organic products, from vegetables, flowers and fruits. The project is still under development and on-going, but in the future the transformation and sale of products in loco, and the development of leisure activities to promote healthy habits and environment conservation will be key. The main objectives are to: i) create a new farm for the production and marketing of vegetables and fruit according to organic farming methods; and, ii) develop group activities on the farm based on the link between agriculture, healthy eating habits and environmental conservation. The main activities already undertaken are: i) the installation of a specific irrigation system (sprinkler or drop) and building a cold store; ii) in addition to the old ones, more machinery and equipment have been acquired and new solutions crafted to allow weed control and to limit the use of organic fertilizers. 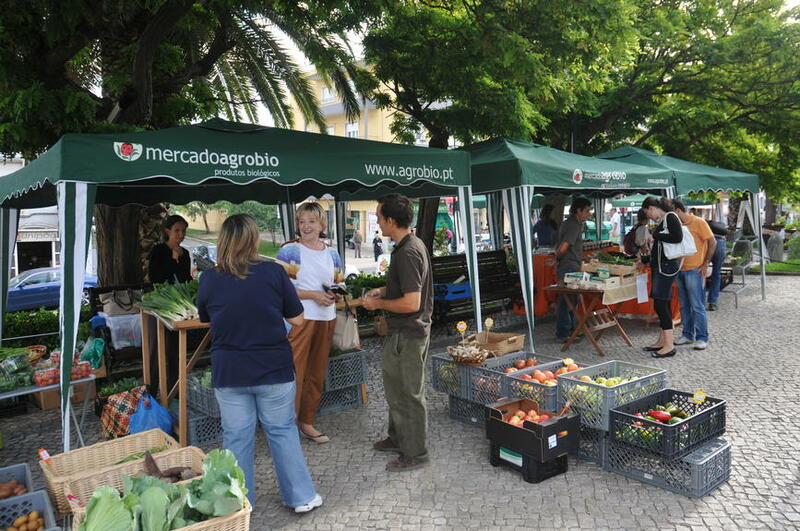 The products are sold directly to markets, restaurants and shops in Lisbon. The main results achieved to date are: i) the creation of four full-time and one part-time jobs; ii) €30,000 of sales in the first year (2010), which is expected to reach up to €100,000 in the near future; iii) the introduction of new products, particularly edible flowers; iv) co-responsibility in marketing organic products, characterised by close links between producers and consumers; and, v)promotion of sustainable agricultural production methods. Compared to conventional agriculture, organic farming can be more complex and expensive. Therefore, careful selection of crops (subject to soil type/climate) and the possibility to create associations with other producers (to avoid "forcing" certain cultures) are the two most important lessons learned. Then, it is recommended to have a wide range of products throughout the year and guarantee high quality to keep and acquire customers’ loyalty.